There is one inescapable gaming fad going on right now. And that is battle royale gaming. One of the biggest names in the arena? Trust us, you’ve probably heard about it even if you don’t think you have. Available on literally every platform imaginable, including smartphones, Fortnite is an overnight sensation. Best of all? It did it all while being a free-to-play game buoyed by microtransactions. Challenging genre stalwart PlayerUnknown’s Battlegrounds, Fortnite’s unique gameplay has helped it outpace its rival and capture a larger audience. Done in pastel, almost cartoon-like graphics, Fortnite is disarming and appealing to all ages. That’s what makes it the perfect material for a VR clone. BigBox VR has basically taken the Fortnite concept of run-and-gun plus building gameplay and is putting it into a fully-fledged VR game. Of course, this is going to take some serious money to accomplish. Luckily for BigBox VR, they have some friends with deep, deep pockets. The company just closed a funding round with Shasta Ventures, among others, for some $5 million, securing a seat on the company’s board in the process. No strangers to VR games, the company previously released the cartoon-esque Smashbox Arena. That also bodes well for their hopes to imitate Fortnite, a game with a similar aesthetic. 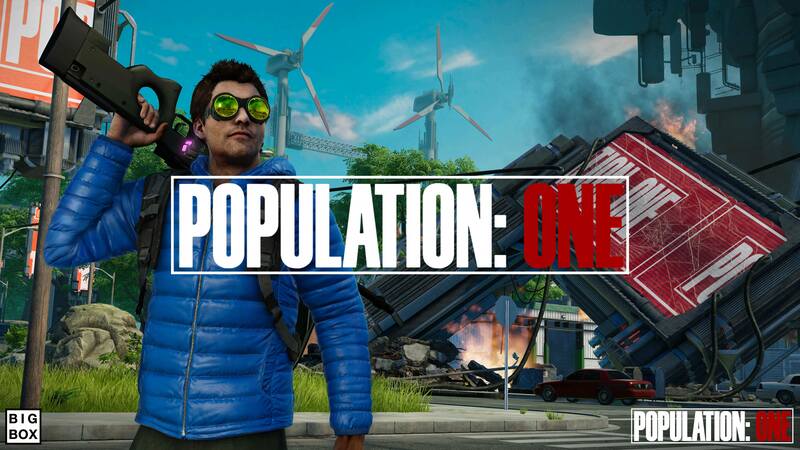 The game called `Population: One` is moving full steam ahead. As TechCrunch points out, this funding and optimism come amid a general dry up in venture capital for VR firms. One of the challenges in bringing battle royale titles to VR is the immersion aspect of the game. Movement is different in VR titles than it is in traditional games. This has a huge impact on how things play out. According to people familiar with Population: One, the controls preference immersion and really put that player into the action of the game. Instead of over-the-shoulder views, players get more intimate views of the field of action in VR. This makes the title more akin to a first-person shooter in presentation but with the gameplay elements of the battle royale genre. It’s no surprise that devs are trying to get in on the battle royale craze with VR, but one thing they are ignoring with Fortnite is how accessible it is. It is accessible from a technology standpoint as it runs on almost every smartphone in the market. It is also present on all the consoles as well as the PC. This has helped that game generate the massive footprint it has. Any title in VR will be hampered by the size of the audience for the niche. Hopefully, if pulled off well, BigBox VR can make Population: One that must-have title for VR and catapult the segment into new heights. Or they could just offer us, diehards, a taste of Fortnite goodness on VR. Either way is fine. Fortnite is certain to have more competition in the future and we don’t think this will be the last VR title to copy its success.